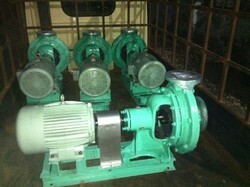 MD series are horizontal multistage non-self priming centrifugal pump, attached with long shaft electric motor. 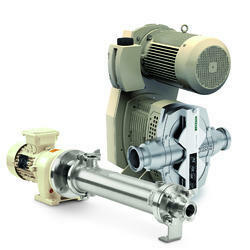 These pumps are compactly built with single phase input thermal protector. The most modern and highly sophisticated machinery and technology are employed in the manufacture of these pumps using quality raw material. Our company is master in providing a wide assortment of Horizontal Split Case Pump to our clientele. Material: C.I, C.S, SS-304/304L, SS316/316, Bronze, Alloy-20, CD4MUC, Hast Alloy B And C etc. While climbing on the success ladder, it has become more important for us to provide the best class Horizontal Split Casing Pumps. Orbit Pumps & Systems Pvt. Ltd.
We offer these Alpha Horizontal Helical Rotor Pump (Series BD) in variety of materials of construction and sizes to match the diversified flow rate and head requirements and nature of sludge. These pumps are designed to operate at low speeds and are integrated with flanged suction and delivery ports to efficiently handle moderate viscous fluids.